Our product range includes a wide range of sand filter for swimming pool. Being the most respected organization guided by experienced and knowledgeable professionals, we provide Sand Filters for Swimming Pool. These sand filters are provided on number of specifications as per the needs of customers. Offered sand filters are developed under the direction of experts using supreme class raw material as per the set industry norms. We provide these sand filters in a confine time at industry leading rates to our customers. 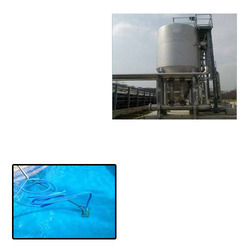 Looking for Sand Filter for Swimming Pool ?